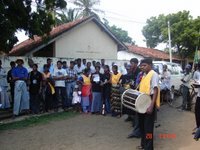 Today the peoples’ Caravan group journeyed towards Puttlam area. So far they have covered two major stations, Colombo and Negombo. The experiences that they have gained so far have been given push to arrive at their goal very confidently. For the moment no interferences have occurred and thus the whole work has been very smoothly running. 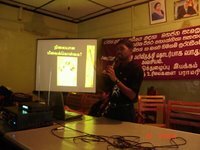 Today the 1st street drama session had took place at Barudalpola with about 50 people. They tried to educate people on the objectives of the caravan. Meanwhile the posters, stickers and the handouts were distributed among the people. 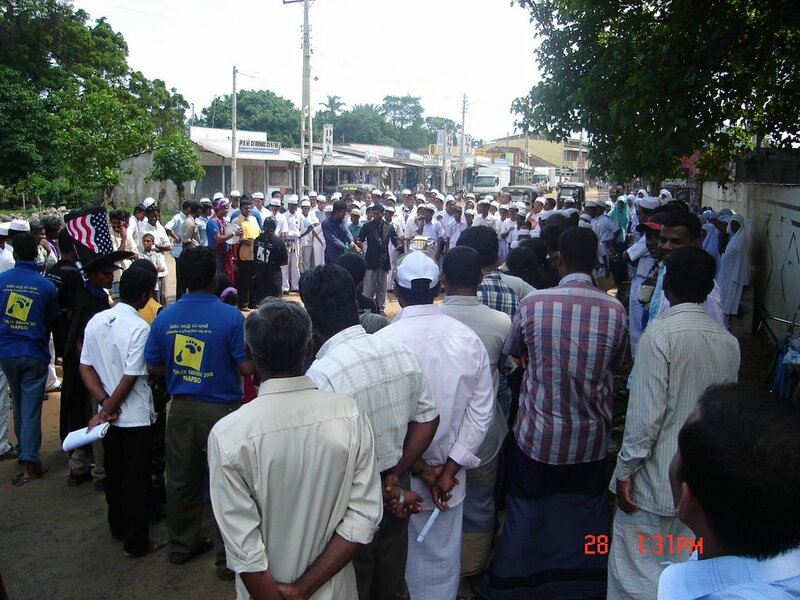 Then another sessions took place at Norochchole junction and in front of the school again with around 45-50 people. 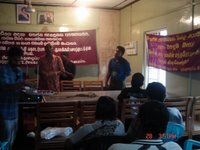 The main meeting took place at District Secretary office with about 50 people. First of all the objectives were explained to the people present. There were two speeches the 1st one on WTO by Fr. 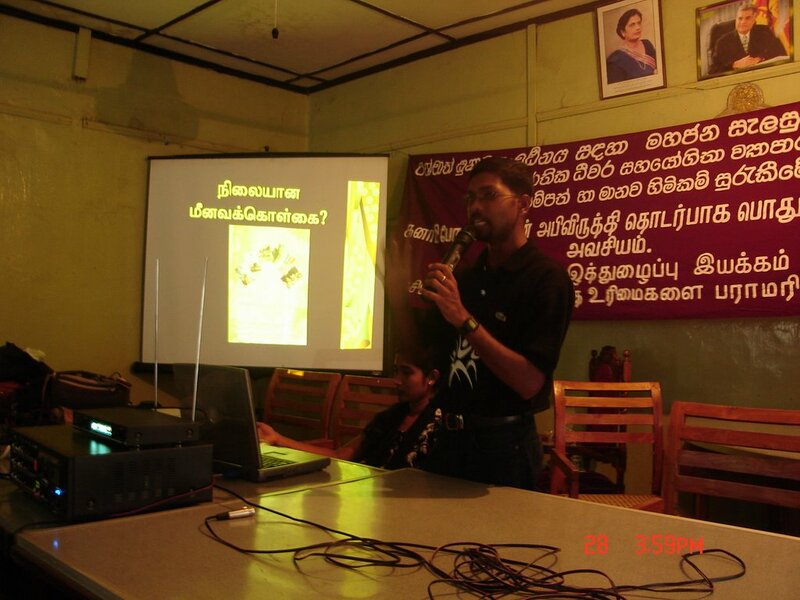 Thomas Kochchery and the 2nd one on Fishreies Policy by Mr. Jesudasan. 1. 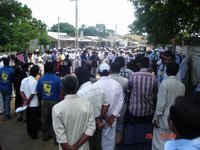 Those who are using dynamites are taken into the custody by the Police but at the same time, LTTE is also using dynamites but no arrestments…. why is so ???? Some NGOs have earned a lot of money by keeping the tsunami victims as a bale. At the end of the day the caravan group had been satisfied about the positive and enriched outcomes that they got. 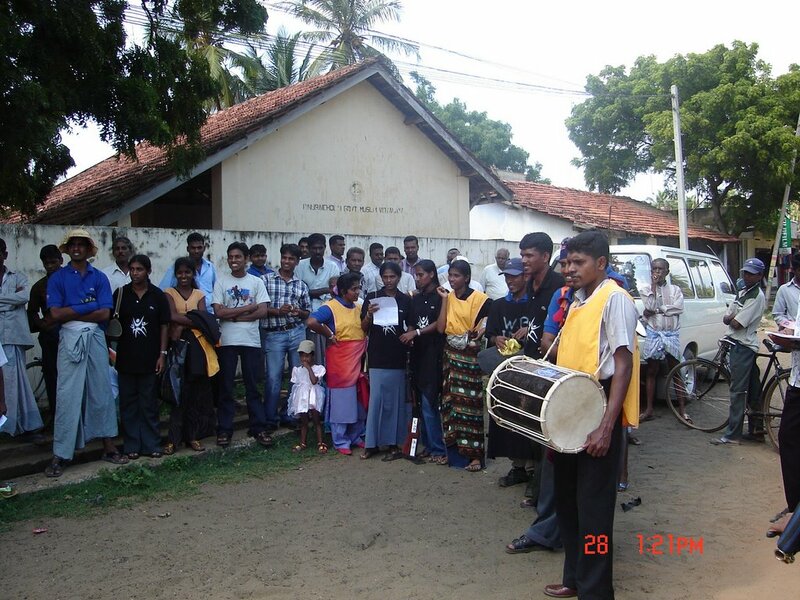 Tomorrow they will be presenting their caravan at Karuvalagaswewa division.